This one is a bit special at The Tin Tabernacle in Kilburn. The Tabernacle is the sea cadets’ home in north west London. Built in 1863, it is a Grade II listed building and, as anyone who has visited it will tell you, it is pretty incredible! 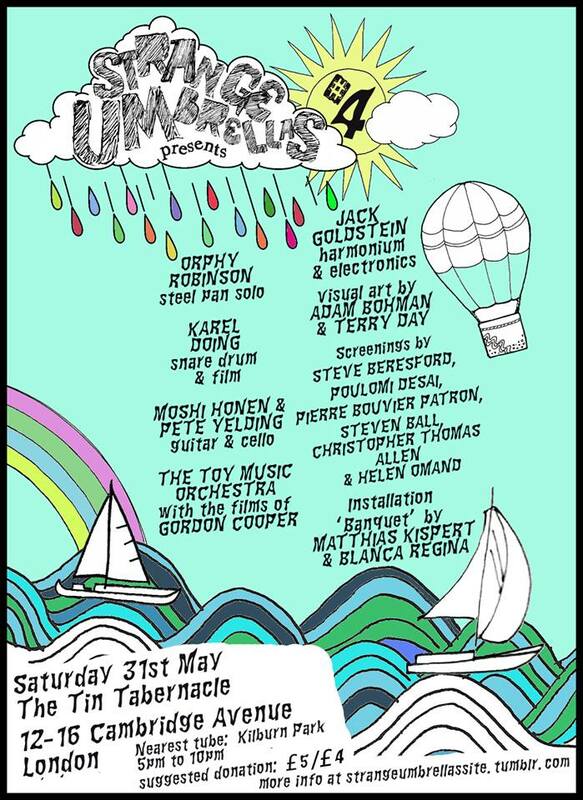 Organised by Strange Umbrellas (Blanca Regina, Steve Beresford and Jack Goldstein). Screening by various artists including Steve Beresford, Poulomi Desai, Pierre Bouvier Patron, Steven Ball, Christopher Thomas Allen and Helen Omand.